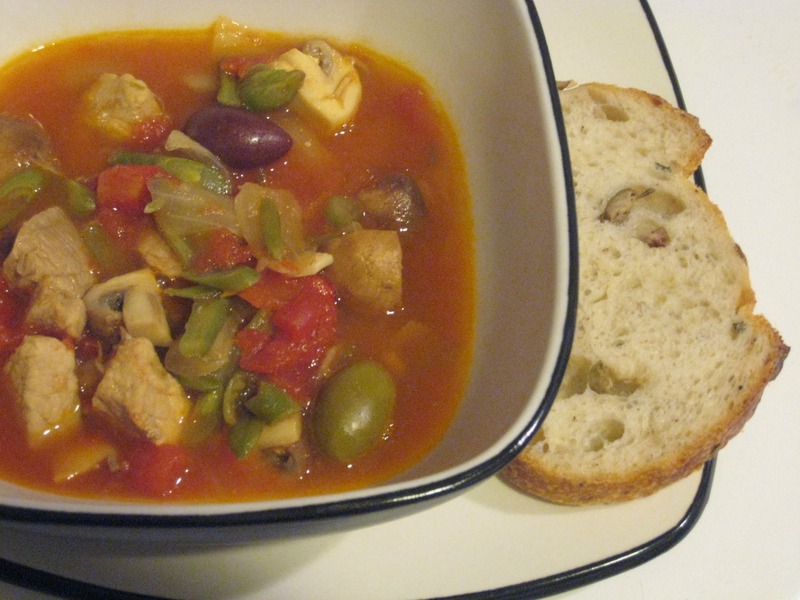 The weather is turning a little cooler, and I always look for an excuse to put olives into a recipe. This one has tons of flavour, and it’s got lots of veggies to keep you healthy. This one comes from Maryana Vollstedt’s Big Book of Soups and Stews. It’s pretty easy, just a bunch of chopping, sauteing and stewing. 1. Heat the olive oil in a large pot, then add the pork and brown it for about 5 minutes. You may want to do this in batches. 2. Add the onion and cook for a few minutes, then add the pepper and mushrooms and cook for about 5 more minutes. Add more oil to keep the veggies from sticking, if you need to. 3. Add the tomatoes, wine, oregano and thyme, then reduce the heat so it is just simmering, for about 30 minutes. 4. 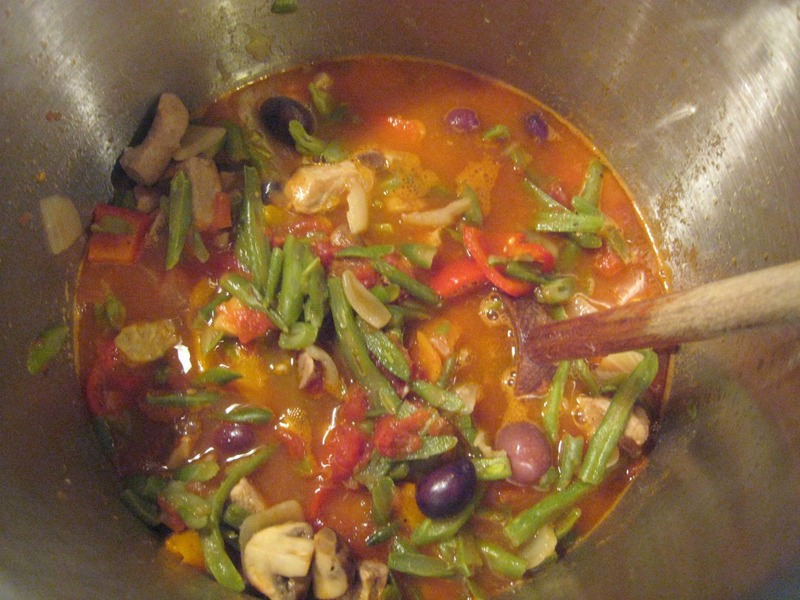 Add the olives and green beans and cook for a few more minutes, until the beans are lightly cooked. 5. Season with salt and pepper, remembering that the olives will add a bit of salt to the stew, so don’t use too much salt without tasting it first! Serve it up with a nice loaf of crusty bread!